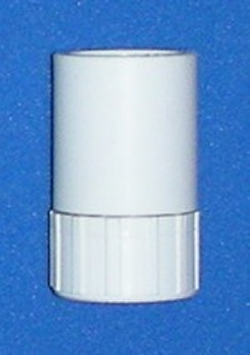 3/4" Female Garden Hose swivel by 3/4" Slip Socket. This is also 1" spigot by 3/4" Female Garden Hose. 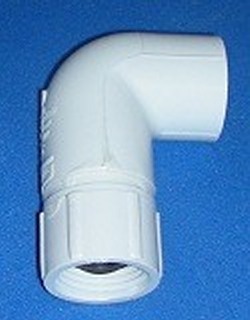 3/4" Female Garden Hose (swivel) by 3/4" Slip Socket 90° elbow. Overall length 3.25"